I was so excited to see some of these pieces from designer Natalie Wood's new collection. My favorite is the first dress. 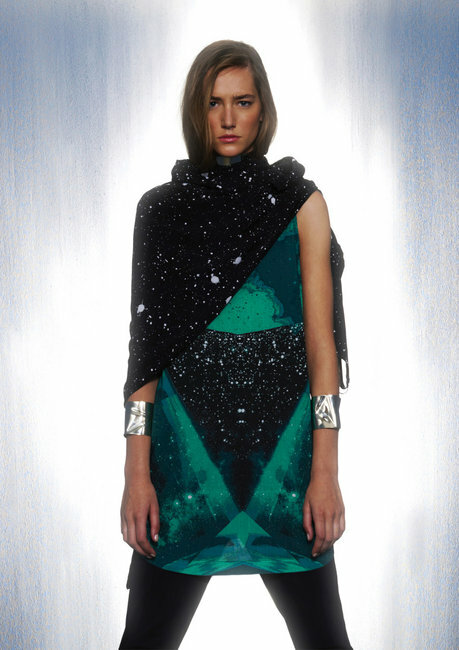 Wood's futuristic, space dust and tie dye pieces are certainty not a let down. What's your fav?? I am a big fan of that sweater! I love the fifth one, is an outfit I would wear with confidence! I love galaxy/space prints so much! What a delicious lookbook. Adoring the cut-away blazers! Those fluted white shorts/skirt is amazing too.